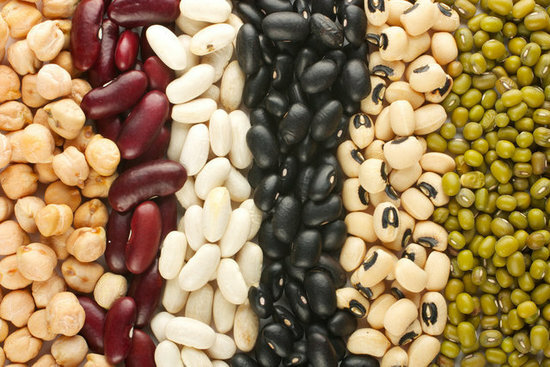 Recent research suggests that how many beans you eat is a strong predictor of how long you’ll live. Unfortunately, 96% of Americans fail to get even the paltry daily recommended intake of half a cup! Considering there are 13,000 varieties of legumes—from chickpeas to split peas to lentils—this bean dearth is hard to excuse. Researchers from different institutions across the globe examined food intake in Japan, Sweden, Greece, and Australia. Only one food stood out as a contender for lowering risk of death—beans! And the type of bean didn’t seem to matter at all. In Japan soy is popular, in Sweden brown beans and peas are preferred, and in the Mediterranean, lentils, chickpeas, and white beans top the charts. All of these beans were linked to increased longevity. Legumes are low in calories, high in protein, and full of vitamins, minerals, and antioxidants. They’ve got fiber, folate, vitamin B1, iron, magnesium, phosphorus, potassium, and copper, to name a few. All this goodness translates to bowel regularity, balanced blood sugar levels, low cholesterol, and optimal heart health! Not to mention, legumes fill you up fast… with fewer calories. They are the perfect weight loss and weight maintenance food. A recent study published in Food and Nutritional Sciences indicates that canned beans are on par with dried beans when it comes to nutritional value. Plus, they’re much more convenient, as dried beans can take hours to cook up! It’s worth noting that canned beans are a tad more expensive (20 cents more) and can have up to 100 times the sodium of dried beans. That’s because rinsing and draining dried beans removes some of the excess sodium…but this same process can also remove some vitamins and minerals, too. If you’re a fan of canned legumes, then opt for the “no-salt” varieties to ensure you’re not going overboard on the sodium. As for flatulence, don’t let a little gas deter you from the nutritional wellspring of legumes! Research shows that although flatulence kicks into gear when you start adding legumes to your diet, your digestive system eventually gets used to it and the flatulence subsides. In other words, stick it out—the gas will evaporate in due time! This entry was posted in Health, Weight Loss and tagged beans, blessed, burn, canned, dried, fat, health, legumes, live, loose, loss, weight, weightloss.